This presentation will provide attendees with an understanding of autoimmunity as a rising epidemic with a focus on effects on fertility and reproduction. Live Webinar: 9:45 am PDT, April 26th, 2019. 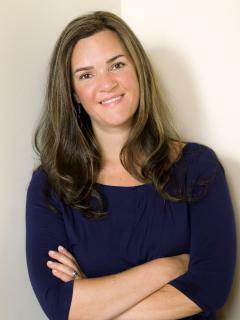 Dr. Jaclyn Chasse, N.D. is a practicing naturopathic physician with a passion for fertility. Chasse currently works as the Medical Director at Emerson Ecologics, where she oversees the Medical Education and Quality teams, serving as the lead for all scientific/technical matters as well as quality operations including ensuring compliance with 21 CFR part 110/111, 210/211, and 11 as well as implementing the Emerson Quality Program. She also holds an adjunct faculty position at Bastyr University, teaching courses on reproductive endocrinology and infertility. Dr. Chasse is a graduate of Bastyr University and has an undergraduate degree in Biochemistry and Molecular Biology. She has co-authored several peer reviewed articles in the field of medical biophysics and integrative medicine. She is a frequent contributor to NDNR and the Natural Medicine Journal, where she serves on the Editorial Board. Dr. Chasse’s clinical practice focuses on infertility & reproductive medicine. In 2012, Dr. Chasse was honored to be named Leading Physician in Alternative Medicine by NH Magazine. Her practice, Perfect Fertility, offers fertility care for patients around the world. Prior to this practice, Dr. Chasse founded and grew Northeast Integrative Medicine, still the top integrative clinic in New Hampshire. Dr. Chasse has been very involved throughout her professional career in improving health care access and education. As a medical student, she co-founded the Naturopathic Medical Student Association, now an affiliate branch of AMSA. She is the immediate past-president of the New Hampshire Association of Naturopathic Doctors. Under her leadership in the state, NDs achieved an expanded formulary and passed legislation to get insurance coverage for NDs. She has served on the Board of the American Herbal Products Association and the Endocrinology Association of Naturopathic Physicians. Dr. Chasse also proudly served as President of the American Association of Naturopathic Physicians from 2016-17, and has served on the board of Directors since 2013.